Prepare to take a journey that will lead you to a life-changing revelation about the name that has been concealed for too long, and now has been revealed again! 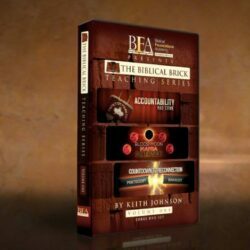 This audio/visual study kit has been remastered and updated power-packed information, inspiration and revelation about our Heavenly Father's Name. 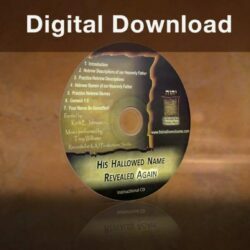 This audio video study kit includes the remastered 12-part television DVD series answers the question "What is the name of our Heavenly Father that is to be hallowed?" 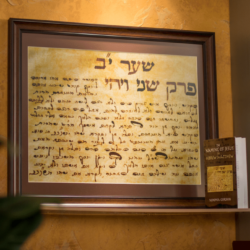 As a bonus there is an important information update and new teaching on the burning bush! 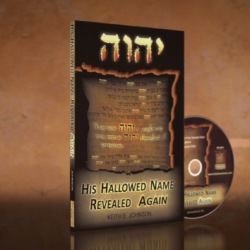 Also included is an instructional CD that is a companion to the book His Hallowed Name Revealed Again that will teach you 80 different descriptions of our heavenly Father found in the Hebrew Bible.